This is my favorite necklace to make. 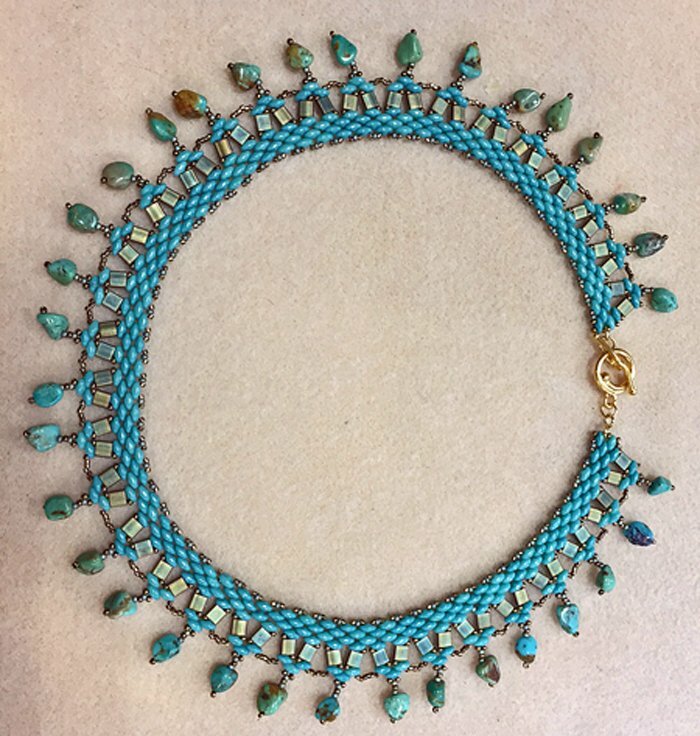 The base of this piece is made using super duos and tila beads--in this case two holes are better than one! Once you learn the pattern repeat, the Chloe is a joy to create. A perfect holiday party necklace.